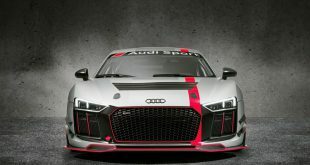 Audi GQ star Alex Yoong of Malaysia took first place in Round 7 of the Audi R8 LMS Cup @ Zhuhai International Circuit, with a trouble-free pole-to-flag run on the 4.3km Zhuhai International Circuit, setting the fastest lap of the race for good measure. 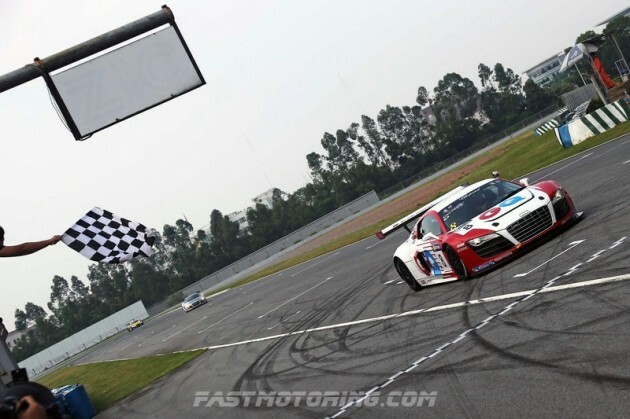 Building an impressive margin of 1.754 seconds from second-placed Marchy Lee of the Audi ultra team, Yoong proved untouchable throughout the gruelling 21-lap race. KLM Team’s Adderly Fong of Hong Kong was third, having pulled off a brilliant manoeuvre on Team Erdos Xinan’s Sun Zheng after the 16-strong field roared off the grid. 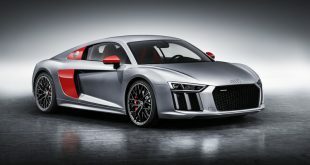 All 16 Audi R8 LMS Cup racing cars finished the race, a ringing endorsement of the reliability of Audi technology under extreme conditions, and to the new long-life Michelin tyres. Yoong got a perfect start from pole, with Marchy giving chase, and Fong up to third from fourth on the grid by the end of the opening lap. With Yoong determined to pull away, Marchy kept his rival firmly in his sights closing the gap to 1.298 seconds mid-way through the race. However, as Fong began to loom in his mirrors, Marchy switched his priorities from winning to taking the all-important 18 points for second place. 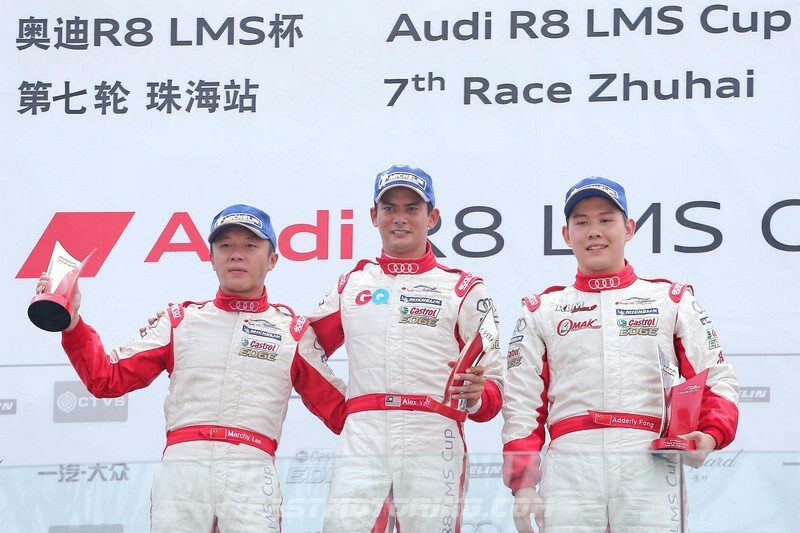 David Zhu, making his Audi R8 LMS Cup debut with Team Zhe Jiang Aotong finished a strong fourth, crossing the line ahead of Sun Zheng. For Jeffrey Lee, his Amateur Cup was a convincing return to the series, and propelled him back to the top of the Amateur Cup leaderboard. Having taken pole position in the class, Jeffrey remained at the front of the pack to cross the line an impressive sixth overall. However, further down the order the battle for the remaining category podium places was frenzied, with Audi R8 LMS Cup driver Aaron Kwok initially holding firm from professional racer Massimo Vignali, making his series debut with Audi Driving Dreams. 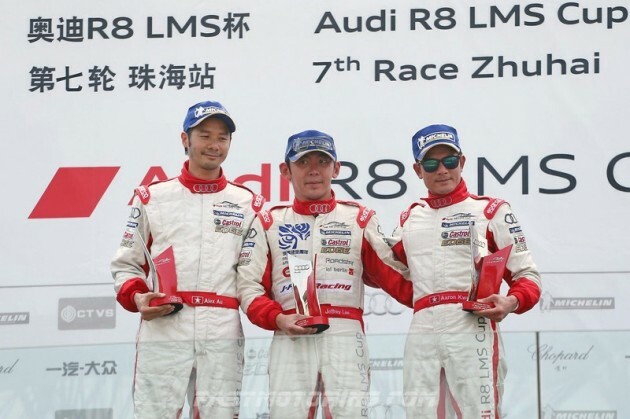 Professional Sun Chao of the PD Group Team was on a charge, having been penalised two grid positions, getting by Vignali and homing in on Kwok, blasting past with Vignali following through in his wake and demoting the Hong Kong star down to 10th in the order. Kwok was back up to 8th after a tussle between Sun Chao and Vignali, but an error by Kwok saw the pair get by. Hence, he finished second last. Marchy’s second place finish increases his points advantage on the overall championship leaderboard to five, ahead of Fong, but Yoong’s victory puts him very much back in the game in third, 17 points adrift of Marchy and closing.